Yesterday was a historic day for Californians, after two years in the making. And the turn outs where monumental. Proposition 64 passed in 2016 with an overwhelming 57% approval from the voters. Now the public is showing up in droves to purchase their legal substances. All around the state, storefronts opening at midnight to sell their first recreational use marijuana to the public. On January 1st, California became the largest state in the country to allow recreational marijuana. So far only 100 something shops have been licensed to sell the drug to recreational customers. Some counties have completely banned storefronts within. But in the coming year, legalization is set to bring in hundreds of millions of dollars in taxes. Law enforcement practices will change and after California, 5 more states will allow adults to purchase pot. 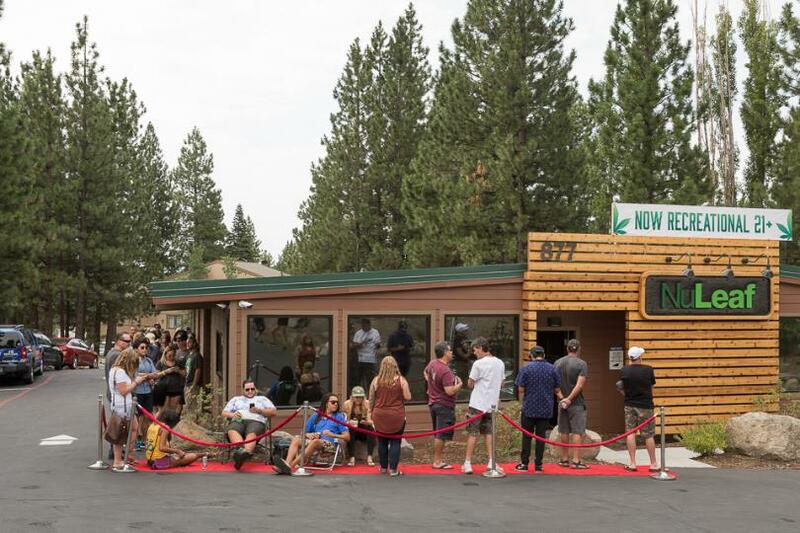 New Year’s Day saw customers queuing up at the relatively few dispensaries that have achieved that status so far, most of them clustered in cities like San Diego and Santa Cruz, the San Francisco Bay area and the Coachella Valley. In order to sell pot starting this month, both adult-use and medical shops must have a temporary license from the state as well as local approval to operate. And the businesses that have opened are lucky. Some counties and cities are limiting the number of businesses they will allow to sell. San Jose has some of the toughest local ordinances in the state, limiting operating hours, locations and a ceiling of 16 on the number of dispensary licenses that will be granted. Shops will be able to sell marijuana harvested without full regulatory controls for six months but will eventually only be able to sell pot tested for potency, pesticides and other contaminants, and products that have been tracked from seed to sale. The Bureau of Cannabis Control was not aware of any problems or complaints about the first day of sales, but it didn’t have inspectors in the field, spokesman Alex Traverso said. Employees at the bureau on the holiday continued to process 1,400 pending license applications for retail sales, distribution and testing facilities. Traverso said they expect a flood of applications from LA and San Francisco after those are approved locally. Because Los Angeles is the biggest market in the state, some of those shops will be approved more quickly than others waiting in line, he said. Customers often made the same comments: Buying marijuana was now like purchasing alcohol and no one had to keep their purchases under wraps. It didn’t feel like a shameful act like buying from the local weirdo down the street. Legalization does not mean a free-for-all. Anyone who purchases recreational marijuana isn’t allowed to smoke in public areas. One rule of thumb: don’t smoke anywhere that doesn’t allow cigarettes. Nor are people allowed to use marijuana in their cars. A number of traffic laws kicked in Monday, including one that specifically states people aren’t allowed to smoke or ingest marijuana or marijuana products while driving or riding as a passenger in a vehicle. No one should plan on simply walking into the shops. People will still need to be buzzed in and enter rooms filled with security cameras. But shopping for pot is not so different from shopping in some types of stores. Storefronts are now similar to shopping in a jewelry store. With glass cabinets filled with different strains with funny names, The stigma gone. And comfort and customer services waiting to help customers make their decision on just how to properly enjoy the new recreational drug.